Don't you just love those Sunday mornings when everything is just in the way it supposed to be? You woke up with a smile on your face, you had enough sleep, and in the kitchen smells something tasteful for breakfast and the most amazing smell of a morning coffee. You have absolutely nothing to do but to enjoy your day with a coffee cup in your hand and your favorite newspapers. Those days wouldn't be so special if it wasn't all about you. Your time to relax, your favorite newspaper, your coffee cup that no one can even think of touching. Unfortunately those days are very rare and usually the only morning peace you have is when you're waiting in a line for your coffee to go in the nearby cafe, so you can quickly continue with your busy schedule. But why wouldn't you have that moment when everything stops for a second even in those busy mornings? That is what designer Alex Litovka asked himself when he was given the task to create the original package which will consist of 3 things. Alex is talented graphic designer from Russia, but now he is working as creative designer in Warsaw, Poland. 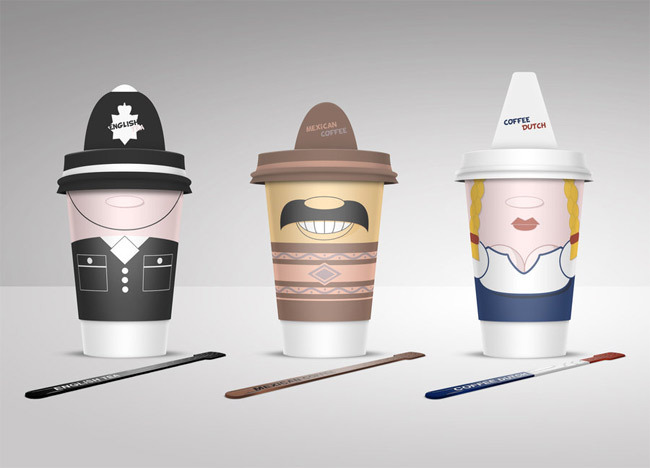 These coffee cups find humor in common stereotypes. 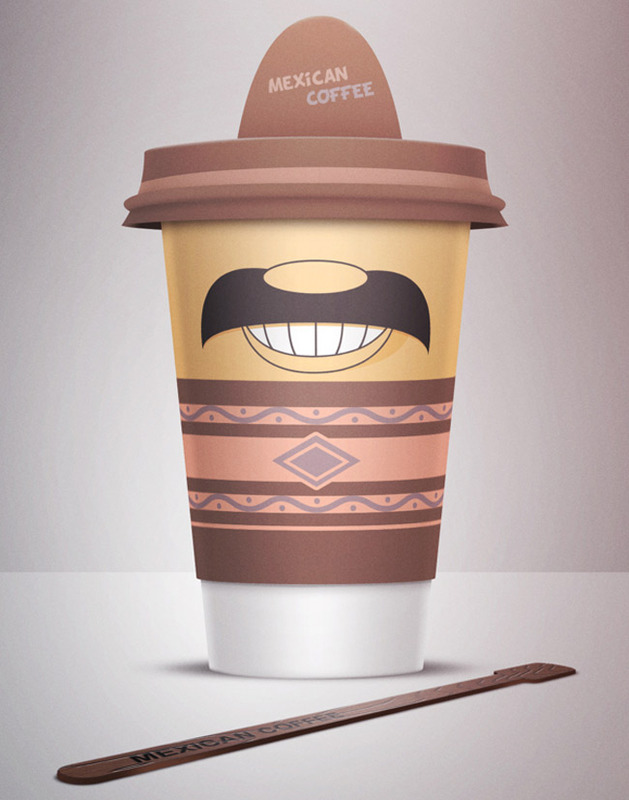 The graphic designer presents this funny packaging concept that is made up of three cultural coffee cups shaped to make you laugh. Mexican with a sombrero and mustache, a uniformed cup sports traditional British law enforcement attire. 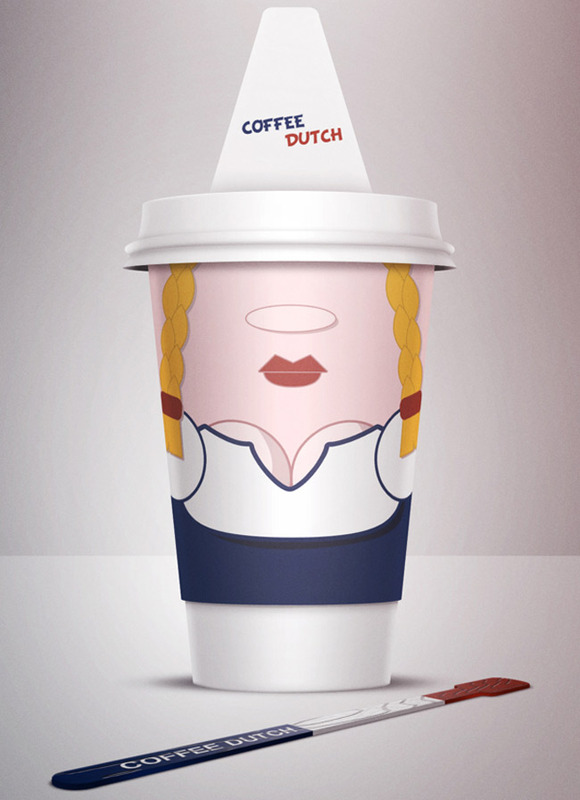 Lastly, a braided feminine form embodies a Dutch coffee cup that also features pout red lips. 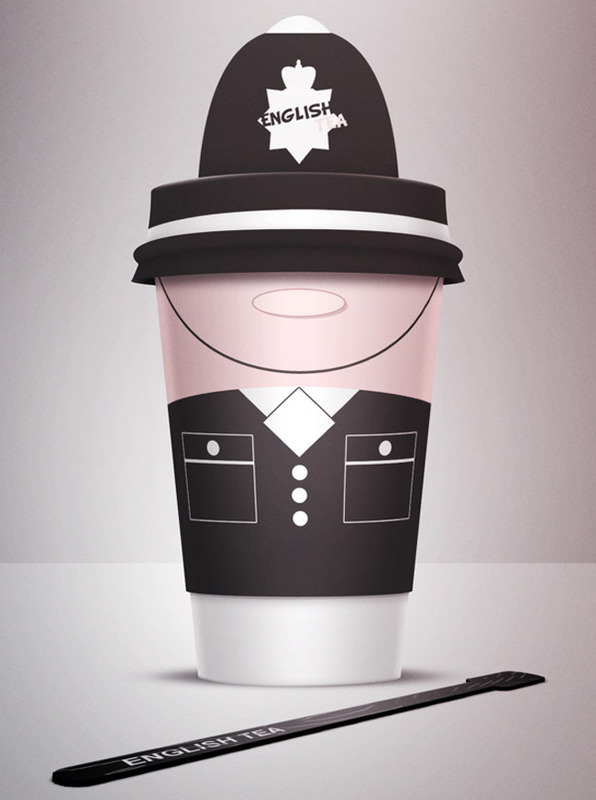 Imagine having this funny coffee cup in your hand during rush to a meeting. This will certainly make your day no matter how bad it is, and it will make you stop for a second and have a good laugh.